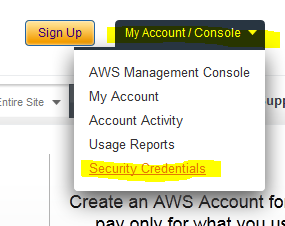 This guide of course assumes you already have an Amazon AWS account. 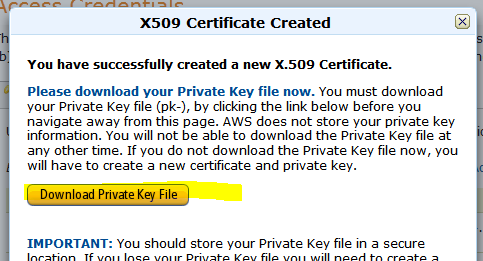 Open up Cygwin and from the home directory create a “.ec2” folder . 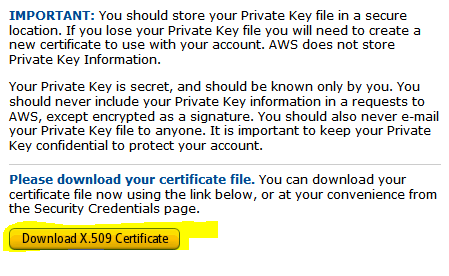 Now get some keys to put in there. 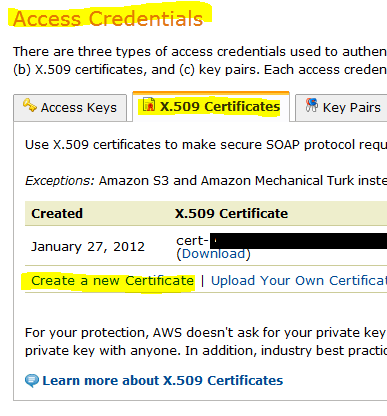 Scroll down to the “Access Credentials” and select the X.509 Certificates and click Create a new Certificate. 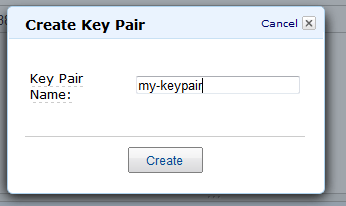 Give it a name and click create. 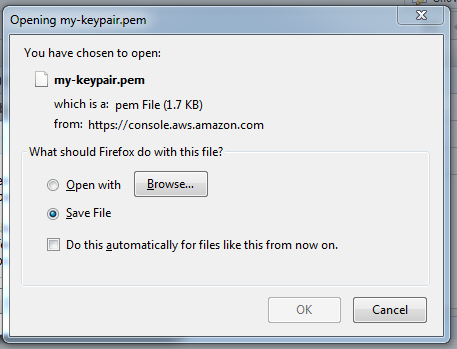 And do a quick search for command-line. 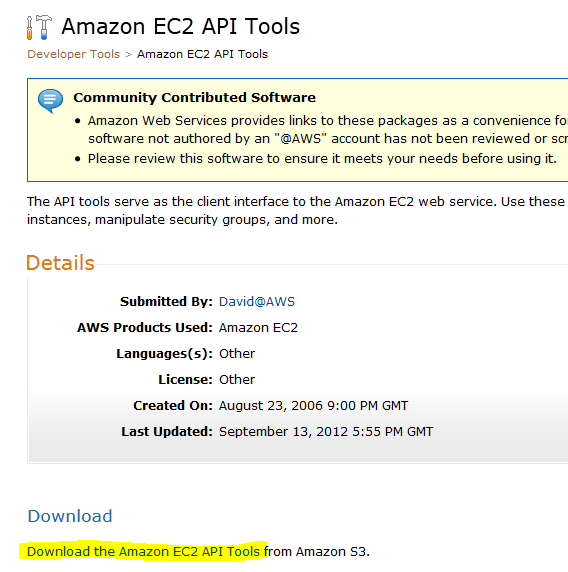 This is the main EC2 command line API tool to look for. You may need to close and reopone the Cygwin window as source does not seem to work, at least for me. to my .bashrc, then everything started working. Very good point, and thanks for the catch. Remember what you want your default region to be and set it. I will update the guide to better explain this. Oops looks like its time to redo the tutorial and update my tools as well. 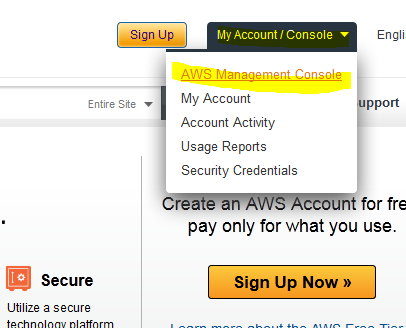 I just have done a lot of command line builds in AWS in the last few months so I did not notice the change.